That’s right. 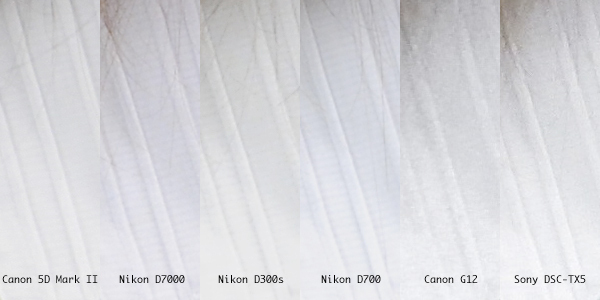 I’m comparing the Nikon D7000 and the Canon 5D Mark II. You might think I’m crazy. Why the 5DM2 and the power of its full frame sensor has assembled an amazing cult following including the 2010 season-ending episode of “House” being filmed exclusively on said camera. Well, I’m a Nikon guy through and through. We have two 5D Mark II cameras at work and subsequently our D200 was sold. I really don’t like Canon’s SLR interface. I’ve been eagerly waiting over 3 years for Nikon to respond to the 5DM2 (which was announced 9/17/2008). There’s been plenty of rumors, but zilch has been done; or so I thought. The D700 is full frame, but does no video. The D300s does video, but is not full frame, so its $1600 price tag is hard to justify. And the Nikon D3S’s $5,000+ price tag doesn’t compete with the 5DM2’s $2,500. 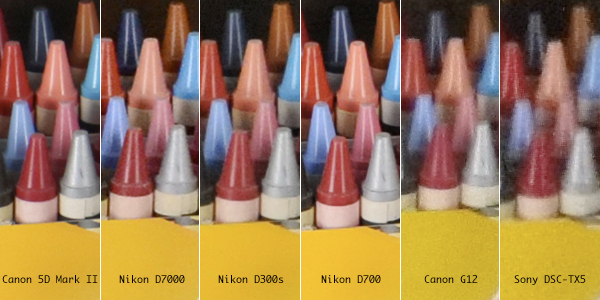 For the past year I’ve been ignoring the Nikon D7000 (announced Oct. 2010). It’s not full frame, but does shoot hi-def video. It has a completely new sensor and boy does it do some really nice things. My largest concern is shooting in low-light, so performance in high ISO is critical for me. I’m really getting tired of my 10-year old SLR and its antiquated low-light shortcomings. It’s important to read reviews, but the proof is often in the pudding. That’s where imaging-resource.com’s Comparometer becomes a tremendous tool. There’s nothing else like it online. They shoot multiple shots at multiple different ISO settings of controlled settings. You gotta use this tool if you’re researching digital cameras. 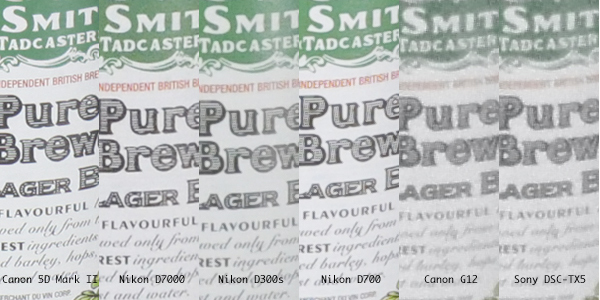 Below are croppings comparing multiple SLR cameras all at 1600 ISO. The Canon Cybershot G12 and Sony DSC-TX5 are thrown in as well. The G12 received much press about its supposed professional photojournalist qualities. It is Canon’s flagship fixed camera lens. It’s supposed to be the next best thing to getting an SLR. The TX5 is an ultra-compact, super slim, waterproof camera. Overall the Canon 5D Mark II has excellent contrast. It appears to analyze flat fields of color and removes the noise by blurring pixels together. It does so quite well, but sometimes it overcompensates. 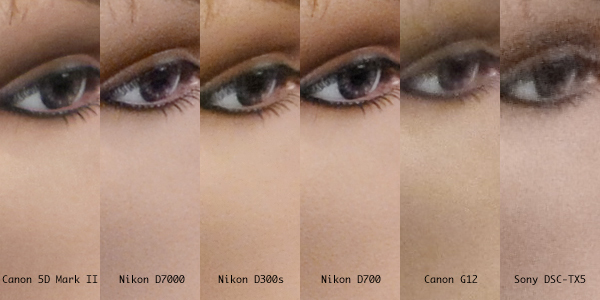 Notice how much softer the mannequin eye is compared to the D700. And the detail on the white collar is almost lost in the 5DM2.